Lancashire Day was of course yesterday but as the House of Commons was not sitting the day has been marked today with a celebration of Lancashire produced food and drink held in the Jubilee Room off Westminster Hall in the Palace of Westminster. 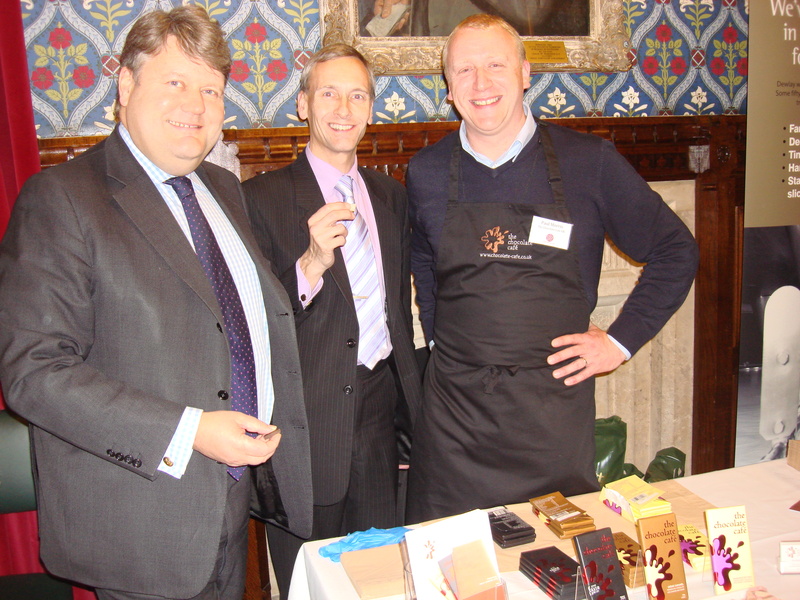 I was particularly pleased to be able to welcome to Westminster Paul Morris from The Chocolate Cafe in Ramsbottom. The Chocolate Cafe was joined by representatives from Dewlay Cheese in Garstang, Crossmoor Honey Farm, Drinkwaters Mushrooms, the Fuzzy Duck Brewery and the Lancaster Brewery, Uncle Joe’s Mintballs from Wigan and Williams a family run bakery from Preston. ” Know ye also, and rejoice, that by virtue of Her Majesty’s County Palatine of Lancaster, the citizens of the Hundreds of Lonsdale, North and South of the Sands. Amounderness, Leyland, Blackburn, Salford and West Derby are forever entitled to style themselves Lancastrians. Throughout the County Palatine, from the Furness Fells to the River Mersey, from the Irish Sea to the Pennines, this day shall ever mark the peoples’ pleasure in that excellent distinction – true Lancastrians, proud of the Red Rose and loyal to our Sovereign Duke”. With this the first elected representatives from Lancashire were summoned to Westminster by King Edward I on 27th November 1295. As I usually do on Remembrance Sunday I have attended three services today to mark this special day. Starting with the official Civic Service at the Parish Church of St. Mary the Virgin in Bury Town Centre. The route of the Parade from the Town Hall to the Parish church was lined with people of all ages. There was a large crowd outside the church to witness the Act of Remembrance at the War Memorial. Inside the church was full for the actual Service and the Rector gave a thoughtful and indeed thought provoking sermon. In the afternoon I took part in the Tottington Parade and Act of Remembrance where I undertook my duties as Churchwarden. I again laid a wreath in memory of ll those who have lost their lives in the service of the Crown. This evening I attended what I always find the most moving service of the day. The evensong and Roll Call at St. Anne’s Parish Church. 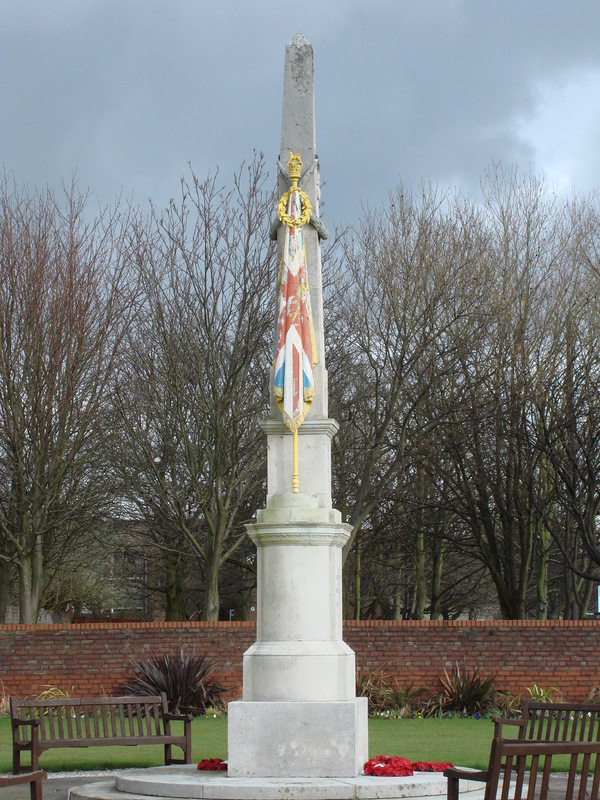 During the Act of Remembrance every name recorded on the Roll of Honour recording those who were killed in the two World Wars is read out aloud and the church bell is tolled after each name. It truly brings home the reality of the personal nature of the losses in the village. At the eleventh hour on Friday the eleventh day of the eleventh month of the year 2011 I attended the Act of Remembrance which was held in Gallipoli Garden, Silver Street, Bury. A new extension to the Garden was dedicated at the same time. Later I attended the dedication of the Memorial Garden at Wellington Barracks on Bolton Road Bury which was carried out by the Rector of Bury Reverend Dr John Findon.